The Carmelite Order traces its origin to Mount Carmel in the Holy Land. Sometime in the twelfth century a group of Europeans settled there near the fountain of Elijah. They may have been pilgrims or former crusaders. They wanted to be hermits in imitation of Christ in the solitary aspects of His earthly life. Eventually desiring a stable form of religious life approved by the Church, they asked Albert, Patriarch of Jerusalem, for a rule of life. His response, a simple collection of monastic regulations and counsels, has come to be known as The Rule of St. Albert. The main emphasis is on a life in allegiance to Jesus Christ, sustained by continual communion with God. This document continues to inspire Carmelites today. 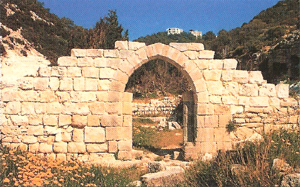 The hermits of Mount Carmel placed themselves under the protection of Mary, the Mother of Jesus. In feudal terms, they recognized her as the Lady of the Place. In her honour they built a very beautiful little Church. By choosing the Blessed Virgin Mary as the Mother and Patroness of their life, these hermits took the mystery of her life and her union with Christ as their ideal model of consecration. In time, people began to call them: The Brothers of St. Mary of Mount Carmel; and later simply: Carmelites. During the mid-thirteenth century the unsettled political situation in the Holy Land forced the Carmelites to migrate to Europe. Many of them returned to their countries of origin and tried unsuccessfully to follow the same simple form of life they had lived on Mount Carmel. Before long they realized that they would have to adapt to the changed situation in which they found themselves. In order to survive they took up a more active type of apostolate. They joined the great mendicant movement begun by the Franciscans and Dominicans and settled in cities and towns. However, they always retained nostalgia for the silence and solitude of their holy mountain. During this painful time of adjustment God blessed the Carmelites with an extraordinary leader, St. Simon Stock. He steadfastly begged Our Lady to protect the Order dedicated to her. In a vision he received the brown scapular from her as a special sign of her protection. Subsequently the Carmelite Order took root and spread throughout Europe. In the fourteenth century, the formal establishment of the Scapular Confraternity led to a tremendous expansion of devotion to Our Lady of Mount Carmel and confidence in the promises attached to the devout wearing of the scapular. Frequent wars and plagues, especially the Black Death that claimed untold lives in the mid-fifteenth century, had disastrous effects on all forms of religious life. A general climate of decline seemed to prevail, in spite of the sincere efforts of many to return to a more fervent and generous lifestyle. Blessed John Soreth, the Father General of the Carmelite Order, was zealous for reform. In 1452 he accepted the first group of women into the Order. 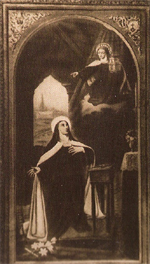 The Secular Carmelites originated also in the fifteenth century. This is an association of lay people who are affiliated to the Order. These people continue with their ordinary secular occupations with the spirit of Carmel. Their ‘rule of life’ follows the broad outlines of the Rule of St. Albert. They have the Order’s essential spirit and they participate in the Order’s spiritual privileges. Great winds of change swept across Europe in the 16th century. America had been discovered. Many nations were torn from the unity of the Church. Within religious orders zealous souls were seeking to return to the primitive ideal of their origins. These renewed groups were known as discalced (without shoes). 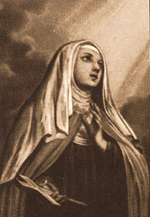 In Spain, Teresa de Ahumada y Cepeda of the Monastery of the Incarnation in Avila, desiring to help the Church through a life of prayer and penance, strove to bring about such a renewal among the Carmelites. 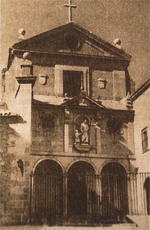 In 1562, Teresa founded her first monastery, that of St. Joseph, in Avila, and changed her name to Teresa of Jesus. With Our Lord and his twelve apostles as model, she stressed a family atmosphere and a generous response to God’s call. She restored the “spiritual desert” of silence, solitude, poverty and prayer of the earlier Carmelite tradition. She also rekindled the Marian and prophetic spirit of the Carmelite vocation. Infusing into the Carmelite life a fresh apostolic impetus, she directed the entire life of the nuns to the service of the Church and of mankind. With the help of St. John of the Cross she established as similar renewal among the Carmelite friars. Both St. Teresa and St. John had much to suffer in accomplishing the work Our Lord had given them to do. With the help of His grace they persevered unswervingly and brought many souls closer to God. Both are now Doctors of the Church because of their eminent teaching on the life of prayer. When St. Teresa died in 1582, there were seventeen convents of nuns (all but two of them personally founded by her), and fifteen of friars. Two years later, the Discalced became a separate province within the Order. In 1590, they became an independent Order. Over the next few years, the Spanish mothers opened several more monasteries in France. Then, invited by the Spanish rulers of the Low Countries, they proceeded northward and continued to established monasteries. In 1612, Blessed Anne of St. Bartholomew, who had been St. Teresa’s devoted nurse and secretary, established a monastery in Antwerp. In 1619, she arranged for the founding of a monastery for English-speaking women. At that time, because of religious persecution in the British Isles it was necessary for these women to leave their homeland if they wished to receive a Catholic education or become nuns. This Carmel, dedicated to St. Joseph and St. Anne, contributed greatly to the spread of the Order in central Europe. It is also from this monastery and from its foundation in Hoogstraeten (founded in 1678), that, in 1790, the Carmelite Nuns would come to the United States. During the next century, several young women from the British colonies in America crossed the Atlantic to join the English-speaking Carmels in Europe. Though their ancestors had fled to America in search of religious freedom, the same spirit of intolerance prevailed now in the colonies as in the homeland. Three of these women, all belonging to the Matthews family of southern Maryland, would form the nucleus of the first Carmel in America. They were Mother Bernardina and her nieces, Sisters Mary Eleanora and Mary Aloysia, who had entered the Carmel of Hoogstraeten. Sister Clare Joseph Dickenson, born in London, England, was the fourth foundress. She belonged to the Carmel in Antwerp. Setting out for America in April 1790, the four nuns arrived in the United States in mid-July. On October 15, they opened their monastery in Port Tobacco, Maryland. The Carmelite Nuns were the first community of religious women to be established in the original thirteen states. Many young women joined them in the following years. However, financial difficulties forced the Carmelites to relocate to Baltimore in 1831. Beginning in 1863, the Discalced Carmelites slowly spread across the United States. In that year, in the midst of the American Civil War, nuns from the Carmel of Baltimore traveled to Saint Louis to begin the second Carmel in the country. Saint Louis Carmel, in its turn, made several foundations. In 1923, nuns from Saint Louis opened a Carmel in Cleveland, Ohio. It was from the Carmel of the Holy Family in Cleveland Heights, Ohio, that the foundresses of our Carmel left for Kitchener, Ontario, on October 22, 1952. In 1952, Bishop Joseph F. Ryan of Hamilton, Ontario, wrote to the Carmel of the Holy Family in Cleveland Heights, Ohio, urgently asking for a Carmelite community to be established in his diocese. The community had recently sent six nuns to reinforce the Carmel of Nairobi, Kenya. However, seeing the will of God in this request, they went ahead. From among those who volunteered four were chosen – three nuns and a novice. 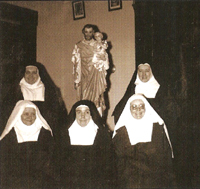 When the foundresses arrived in Kitchener, Ontario, on October 22, 1952, they were welcomed warmly by Bishop Ryan and a group of benefactors. These generous people would become lifelong friends and supporters. While their future monastery was being renovated, the nuns were guests of the Sisters of St. Joseph at St. Mary’s Hospital. 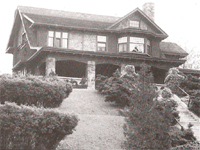 On January 22, 1953, the Carmelites moved into their new home at 2 Lancaster Street East in Kitchener. The following day, the First Mass was celebrated. The first English-speaking Carmel in Canada was now a reality. For the next ten years, the daily rhythm of prayer and praise took place in the little monastery. As the numbers grew, the sisters both prayed and searched for a suitable location to build a permanent monastery. With the help of God and of friends they located a beautiful plot of land in the rolling countryside north of the village of St. Agatha. Construction began in the autumn of 1962. On May 27, 1963, the sisters moved from Kitchener to their newly constructed monastery. The next day, Msgr. Reuben Haller celebrated the First Mass and blessed the monastery. From then on, this was the nuns’ home. Where early pioneers had laboriously cleared the land, the young sisters now planted trees – evergreens to form the future enclosure, fruit trees and berry bushes. In another part of the property they established a garden. Little by little love transformed all. The original building could easily accommodate 12 sisters. As the community grew it became necessary to expand. Expansion began in 1974 and continued until the completion of the monastery in 1989. As year followed year, the work of God prospered. By 1991, the community was numerous enough to branch out. On August 15th of that year three sisters were sent to Armstrong, British Columbia, in the diocese of Kamloops, to begin another Carmel. St. Joseph is also the patron of this monastery. 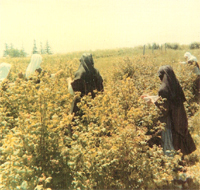 The Discalced Carmelite nuns have been present in Canada for over 125 years. The first foundation was established in Montreal, Quebec, in 1875. In a way, the inspiration for this monastery can be traced back to the Carmel of Baltimore. While young Hermine Fremont and her widowed mother were returning to Quebec from Florida in the spring of 1871 they stopped in Baltimore. They visited the Carmelite nuns and were enchanted by this contact. With enthusiasm they discussed the possibility of establishing a similar monastery in their native Quebec City. Upon returning home they were unable to find the needed support for the venture, but Hermine was put into contact with the Carmel in Reims, France. The nuns replied that they were too few to consider making a foundation at the time. However, as a first step towards the realization of this dream, Hermine was invited to enter the Carmel of Reims. 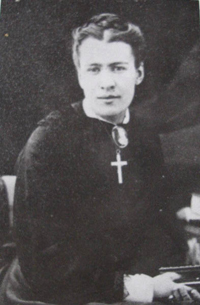 Overcoming the opposition of some of her relatives and a serious illness, Hermine sailed for France and entered the Carmel of Reims in June 1873. She received the habit of Carmel on October 13 and was given the name Sister Teresa of Jesus, in hopes that she would follow in the footsteps of St. Teresa. In December of that same year, her health suddenly collapsed. On the morning of December 22nd, she was anointed and made her religious profession. She died peacefully that afternoon. On December 24th, she would have celebrated her twenty-second birthday. Like a grain of wheat buried in the ground, Hermine’s sacrifice brought forth abundant fruit. Family and friends rallied to support the foundation of a Carmel in Canada. One by one the obstacles were overcome. 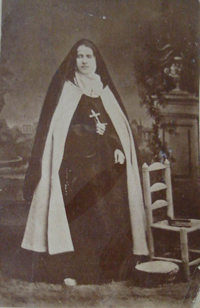 In 1874, Bishop Ignace Bourget of Montreal formally invited the Carmelites of Reims to establish a monastery in his diocese. Five sisters were chosen from the Carmel of Reims and one from the Carmel of Dijon. Mother Seraphine of the Divine Heart of Jesus from Reims was appointed Prioress of the new community. Setting out from Reims, the nuns crossed the English Channel, and sailed from Liverpool on April 22, 1875. The voyage was stormy and it was with grateful hearts that they sighted land on May 5. The next day, they were graciously received in Quebec City. They traveled by train to Montreal, arriving in the late evening of May 8, 1875 - a significant date in the history of the Church in Canada. The Carmelites were warmly welcomed at the Hotel Dieu Hospital where they were the guests of the Religious Hospitallers of Saint Joseph while their provisional monastery was being prepared. In the same year that the Carmel of Montreal was founded (1875), three nuns from the Carmel of Baltimore began a foundation in Rimouski, Quebec, on the lower St. Lawrence River. However, insurmountable difficulties caused them to return to Baltimore two years later, in August 1877. The Carmel of Montreal faced innumerable difficulties in the early years. Several young sisters died. If the foundation was to survive and prosper, the nuns realized that they would have to take the rugged climate of Canada into consideration. They adapted some ways of doing things, especially regarding diet and heat in the monastery. They also moved to a healthier situation, away from the damp riverbank. The foundation did prosper and in time sent out three groups of nuns to found other monasteries. The first group went to St. Boniface, Manitoba, in 1912. However, financial difficulties caused the nuns to relocate to Trois Rivières, Quebec, in1929. In 1951, Quebec City was the site of the second foundation. This monastery is now located at Tewkesbury, Quebec. The third, following the Order’s missionary vocation, went to Mauritius, an island in the Indian Ocean. The 1950’s saw the establishment of three more Carmels in Canada. Our own foundation was made from Cleveland Heights in 1952. In 1957, two communities of Carmelite nuns that had fled from Vietnam took refuge in Quebec. One settled in Danville, in the diocese of Sherbrooke, the other in Dolbeau-Mistassini in the diocese of Chicoutimi. The next spurt of growth came in the early 1990’s. In 1991 our Carmel made a foundation in Armstrong, British Columbia. The Carmel of Hong Kong established a foundation in a temporary location in Markham, Ontario. They now have a beautiful permanent monastery near Zephyr, north of Toronto. The Carmel of Macao, from the former Portuguese colony of Macao, transferred to Spruce Grove, Alberta, near Edmonton.